The exhibition Contemporay Art The nuance of dreams, II edition, The shadows of Giotto. 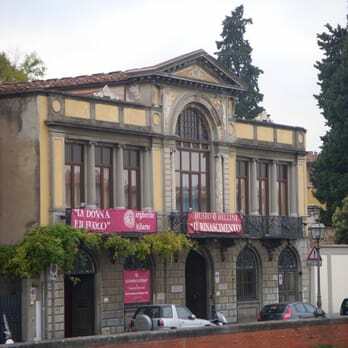 The exhibition, curated by Rosi Raneri (art critic and artistic director, based in Rome) will take place in Museum Bellini and the Gallery Luigi Bellini are a private Museum of Florence. Situated on the Lungarno Soderini (Riverside of the Arno). Between the most precious works of the collection is a fresco of the Giotto School, a Madonna from the Della Robbia, a bust attributed to Donatello and a portrait from Tintoretto, a bronzetto from Giambologna, gotic tapestry from the Medici manufacturing and a wardrobe sculpted by Andrea Sansovino. The Gallery also takes care on the realisation of contemporary art shows inside of the Warehouse N.5, the new location, refined and evocative , derived precisely from the ancient warehouses of the Galleria Bellini, whose facade was redesigned by the famous architect Coppedé. The show will have the overall duration of 7 days, from the 22th to the 29nd of july 2017. The opening will be the 22th of july.